Welcome back to Press Start to BGN, Laurier’s gaming show by a bunch of Game Design & Development students here at Laurier’s Brantford campus. The program is very new and so is our show, so for those who don’t know Game Design & Development is headed by Dr Scott Nicholson through the Brantford Games Network or BGN, hence the name “Press Start to BGN” which sounds like “begin.” This week we talk about Feminist Frequency’s YouTube series “Tropes vs Women in Video Games” and the way female characters and players are treated in games. We also go into the state of the Assassin’s Creed series as well as all the new releases and what we’ve been playing. Thanks for tuning in! It’s time for the Games out This Week! Nioh is an action-RPG made by Team Ninja Studios as a Playstation exclusive. You play as William, the only white guy in a sea of Japanese, during a civil war in 1600. Other than that thematic flaw, William hacks and slashes through his enemy’s with his friends to help end the war. The story looks interesting, and the game seems like it plays satisfyingly. If you’re interested, pick it up for $80! Just in case you got tired of the app draining the battery on your phone, it came out for PC. Since you don’t like playing with mouse and keyboard, now you’re gonna pick it up for the Xbox One, aren’t you? The free app, Fallout Shelter, comes out for Xbox One! With cross-save enabled, you can take your PC save and play it on your Xbox One now! Fallout Shelter is a nuclear fallout shelter simulator made by Bethesda, the same people behind the Fallout series, where you eat, sleep, do jobs, take care of the shelter, and survive! I personally played the app, and so has Stephan, and we both highly recommend the app, so if you haven’t played it yet, play it for free now, on iOS, Android, PC, and Xbox One now! “What can you accomplish with only 10 seconds of light?” Candleman is a puzzle-platformer out for Xbox One, about, well, a candleman! You must take Candleman through dark, perilous journeys as you look for the “distant light,” with only 10 seconds of light. As you shed your wax, you can jump higher. Where will it take you? What will you find? Pick up this interesting game for Xbox One now for only $15! For PS+ Subscribers, you can pick up a few games. PS4: Little Big Planet 3, Not a Hero (Stephan approved! ), Ninja Senki DX, TorqueL, and Starwhal. PSVita: Ninja Senki DX, TorqueL. For you Xbox Live Gold Subscribers, Games with Gold is giving out a great set of games as well! This week on PSTBGN the topic of the show was tropes of women in games. The Youtube channel Feminist Frequency does an in depth look of these tropes and frequently criticizes games for sexism, much to the chagrin of some others. Anita Sarkeesian, founder of Feminist Frequency and host on the channel, has received a lot of hate over the videos that she posts and was targeted by the harassment campaign GamerGate. There are many sexist tropes of women in games some of them include: the “damsel in distress” trope, the use of woman as decoration, lack of female protagonists, female “armour” (it’s not armour it’s lingerie), the use of women as a reward etc. These tropes and many others are still a problem in today’s gaming industry. From SCE Japan Studio is the gorgeous action adventure game, Gravity Rush. Players play as Kat, a young girl who finds herself forgetting her memories as she wakes up in the floating city of Hekseville. Travelling with your mysterious cat Dusty, use your ability to manipulate the gravity around you to defeat creatures called the Nevi and various villains as you try to protect the people of Hekseville. 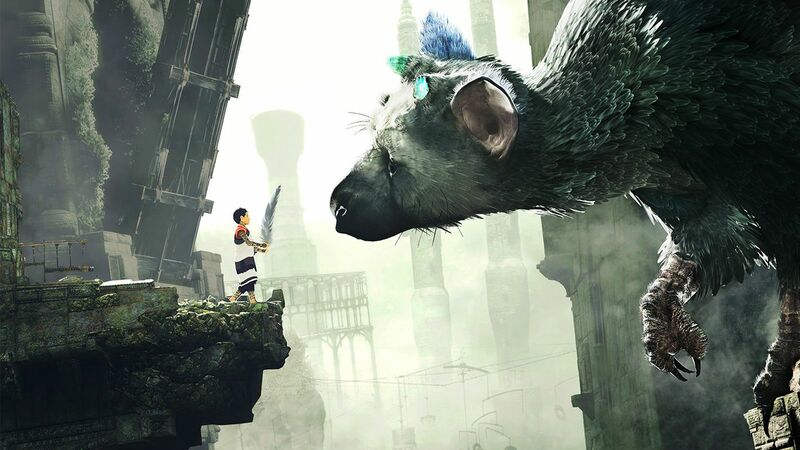 Find yourself in this story driven game, available on the PlayStation Vita and PlayStaion 4. From Nintendo comes another instalment to their Pokémon franchise, 2016’s Pokémon Sun and Moon. Pokémon is a roleplaying game that has players catching various species of Pokémon, battling trainers be it online or in the game’s story mode, take care of their teammates in Pokémon Refresh and more. In Pokémon Sun, players can find Pokémon exclusive to their version of the game and has their game running exactly to their 3DS’ programmed clock. Available to play on the Nintendo 3DS. From Ubisoft Quebec comes another instalment to one of their prime game series, Assassin’s Creed: Syndicate. In this action-adventure, stealth game you play as twins Jacob and Evie Frye fighting against the Templars, a group who desires to achieve peace through the order in London, England. Kill along your travels through Victorian Era London and take back the city from the Templars. Take a leap of faith on PlayStation 4, Xbox One or PC. From Greater Than Games is the well-executed superhero card game Sentinels of the Multiverse. For one to five players, players can choose their own individual hero to play as with their own specific to their her. Battle one of many different bosses and their minions in multiple environment scenarios with your teammates. Battle your way to victory in this thirteen and up game! From Atlus games comes the single player adventure puzzle platformer Catherine. In this game, you play as Vincent Brooks, a young man struggling with the difficulties of want to be an independent adult and desiring to be married to your longtime girlfriend Katherine. As you go about your daily life, you meet Catherine, a young lady who starts to change your thoughts on what lifestyle is right for you and who might end up changing your life. Available on the PlayStation 3 and Xbox 360.